Gregory P. Pisarski, MD FACS is the leading provider of the QuickLift® Face Lift procedure in the Lake Jackson and Pearland, TX areas. Plastic surgeon Dr. Gregory P. Pisarski, serving the Houston, Texas (TX) and surrounding Lake Jackson, TX areas is triple board certified in Plastic Surgery, Facial Plastic and Reconstructive Surgery and General Surgery. Dr. Pisarski’s philosophy is to provide his patients with the highest level of medical care available in an ethical and confidential manner. He strives to stay current with the most advanced technology in cosmetic enhancement procedures. He will help educate you about your options so you can feel confident about your decision. During his residencies Dr. Pisarski conducted a year of research in burn and wound healing. Additional training in plastic surgery was obtained through fellowships at the Cincinnati unit of the Shriners Burn Institute, and in a nationally recognized cosmetic surgery practice in Miami, Florida. 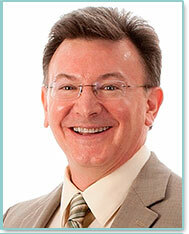 Dr. Pisarski has been a board certified plastic surgeon practicing for over 10 years. He has authored or co-authored several papers for professional publication and has traveled to the Philippines, Mexico and Nicaragua to treat cleft lip and palate patients. In addition to his surgical schedule, Dr. Pisarski has served as the Chairman of the Department of Surgery for Brazosport Regional Health Systems and has been a Committee Member of the Medical Executive Committee, the Peer Review Committee and the Utilization Review Committee also for Brazosport Regional Health Systems.